In the spirit of short, stripped-down punk rock songs, Milo and I penned this little number. Included in this post are the lyrics, if you want to try it out at home, and 2 video versions to give you a sense of the possibilities. It’s meant to be sung fast and loud! One note about Milo’s performance: what at first may seem like an homage to Jim Morrison (singing with his back to the crowd) is actually just him playing a pretend keyboard. 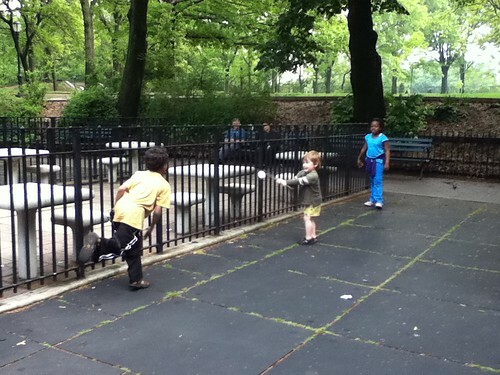 We had a little impromptu stickball game a couple of weeks ago at the playground by the botanical gardens in Prospect Park. The bat was an actual stick Milo found. 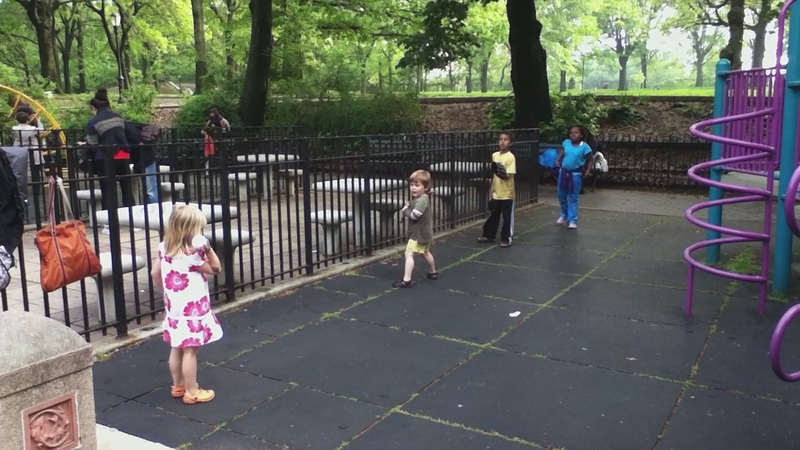 In the video Milo lets one go by for ball one and then drills one up the middle – nice hit!